This Is A Fannie Mae, Homepath Property. 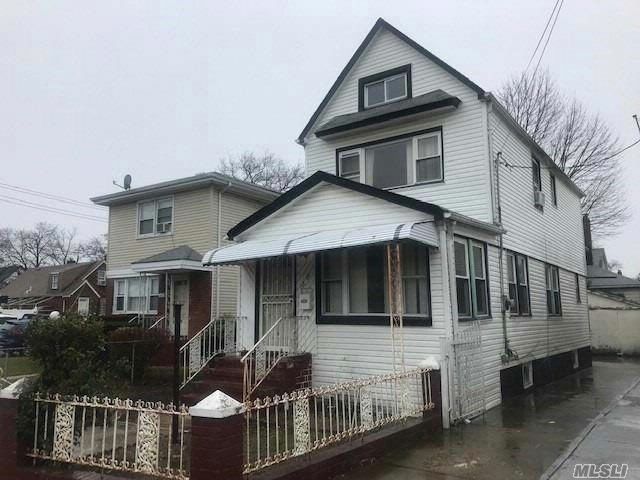 Detached, One-Family In South Ozone Park. The Property Has A Shared Driveway And A Detached Garage. There Is A Large Attic Which You Can Use As A Playroom Or As A Large Storage Area. Within A 10-Minute Walk To The Q9, Q41, And Q40 Buses. Approximately A Half Mile From The Van Wyck Expwy. The Property Boasts A Nice Size Front Yard And Backyard To Enjoy Your Summer Bbq''s. Don''t Wait, Call Now!